Hand dyed sock yarn. 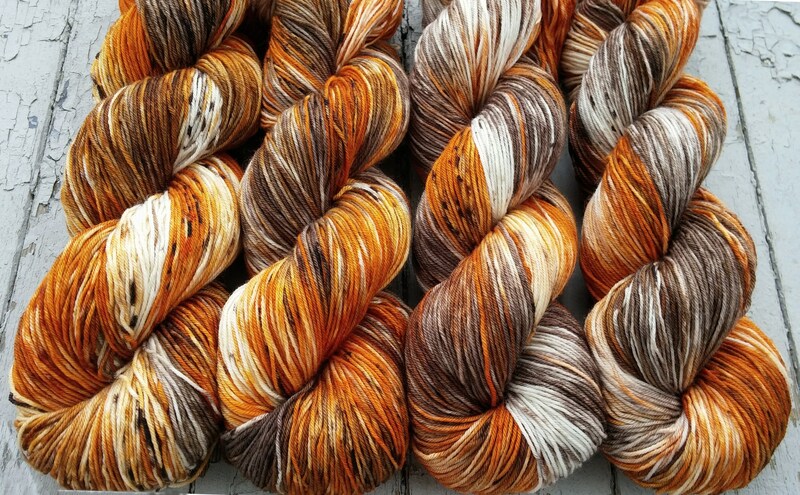 This yarn is dyed in a deep pumpkin orange and light orange, brown that ranges between cedar and milk chocolate, some natural colored creamy white, and a light speckling of a very dark brown/black. Its the perfect time of year to snuggle up with some cozy hand knits and a hot pumpkin spice latte. This listing is for 1 skein of Staple Sock. 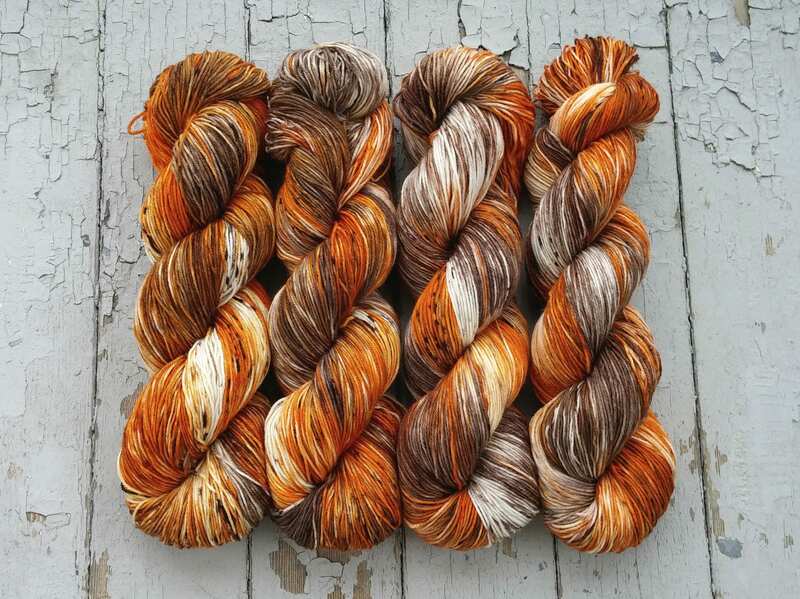 **Please note that one of the skeins currently in stock has been reskeined so it looks slightly different than the pictures. 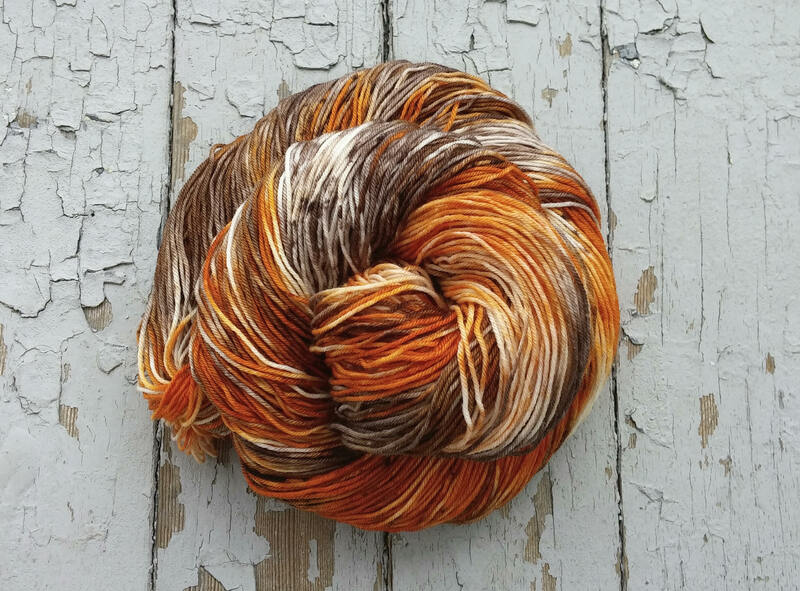 The colors are more evenly distributed throughout the skein. I got this as a surprise for my wife and she loved it. The yarn is soft and is well dyed. The color looks amazing. I would definitely buy it again. This is stunning in person! Love it! Making a pair of skyp socks with this yarn. It's amazingly soft and has a noticeable "bounce" to it. It's very lovely to work with, and the colors are beautiful. I love the free yarn winding service! Saves me hours of prep when I don't have my swift.